Ground Control to Marc Garneau! How expensive does an unmanned Mars rover need to be in order to "stimulate the country's space industry" and "drive innovation?" According to the July 4th, 2011 Montreal Gazette article "First Canadian in space calls for Mars mission" Liberal MP Marc Garneau, the sixty two year old retired military officer, former astronaut, ex-president of the Canadian Space Agency (CSA), ninth Chancellor of Carleton University and current representative for the riding of Westmount—Ville-Marie believes the country should plan for an all-Canadian robotic mission to Mars. 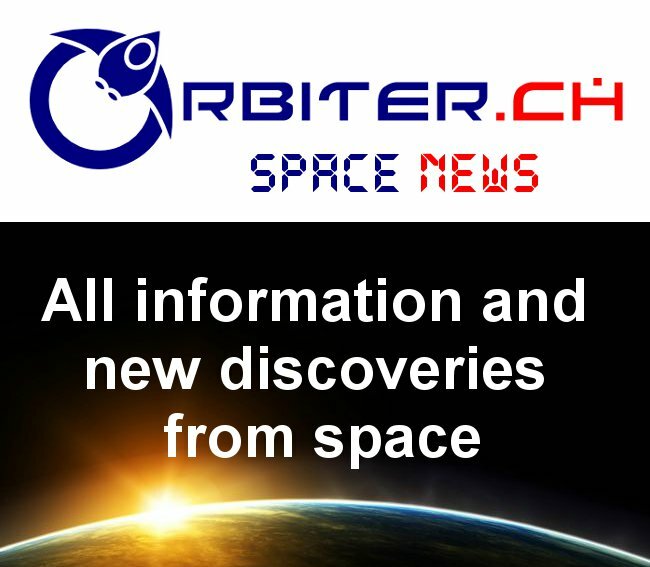 The article quotes Garneau as stating this "would stimulate the country's space industry during uncertain times for North American space programs." The article also quotes Garneau as favoring the doubling of the CSA $425-million annual budget over the next decade in order to achieve this goal. The increase is close to the amount proposed by current CSA President Steve MacLean on May 12th, 2010, while presenting to the House of Commons Standing Committee on Industry, Science and Technology (INDU) where he said that an extra two billion dollars, spread out over five years was needed to to "put us at the table" of international space activities and "drive innovation." 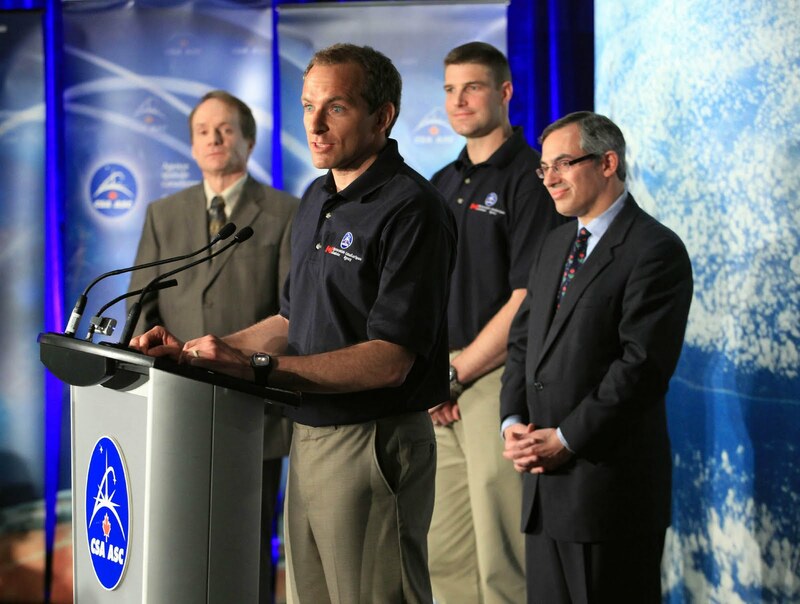 CSA president Steve MacLean with Canadian astronauts David Saint-Jacques, Jeremy Hansen and Federal Industry Minister Tony Clement in 2009. But unmanned Mars rover missions don't need to cost billions of dollars. Even the National Aeronautics and Space Administration (NASA) 2003 Mars Exploration Rover Mission (MER) is estimated to have only cost $820 million USD for the primary 90 day mission, according to the October 16th, 2007 MSNBC article "NASA extends Mars rover's mission" plus an additional $124 million USD for the various extensions. Other Mars rovers have been distinctly less pricy. 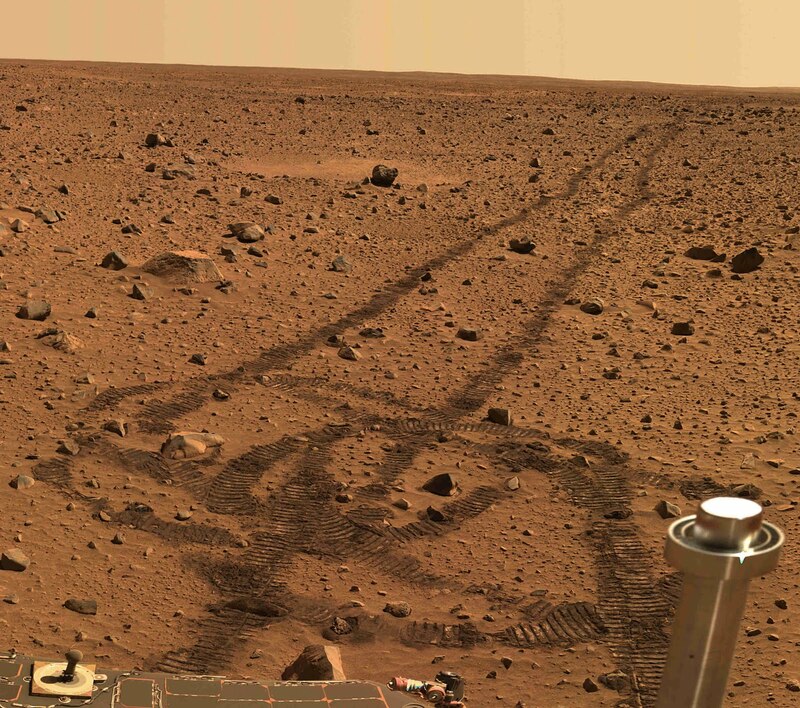 Mars panorama from the 2003 MER mission. 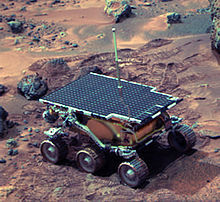 The 1996 Mars Pathfinder mission is estimated to have cost less than $150 million USD and was considered remarkable for its extremely low price relative to other unmanned space missions to Mars. Garneau should tell us how much of the extra money he'd allocate to Canadian space activities will be spent on rovers and how much will be used to "stimulate" the industry in order to give us a sense of what really needs to be spent to achieve this worthy goal. Of course, this isn't the first time that Garneau has advocated an unmanned Mars rover mission. 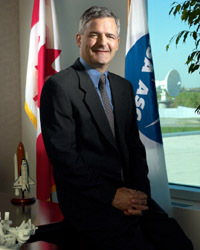 According to both the November 15, 2002 Spaceref.com article "Marc Garneau: Canada's Vision for Mars" and the June 10th, 2001 Toronto Star article "Garneau says Canada will gear up for Mars" the ex-head of the CSA was advocating much the same sort of activities back when he had direct control over CSA disbursements. 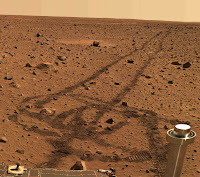 Sojourner rover on Mars 1997. So Garneau must know the true cost of a mission of this nature. He's also an experienced and electable survivor of what was once (and could be again) a major political party who must realize that he won't be taken seriously with this present proposal, especially given his experience and expertise, unless he starts filling in a few of the details. In essence, Garneau must do more than just say "unmanned martian rover" and offer to throw money at the CSA and the larger Canadian space systems industry. He needs to come up with a systematic plan for long term Canadian space activities and present it to the Canadian people for assessment and judgement. If the Canadian people like the plan, they might even elect more liberals to parliament in the next election, which is expected to occur in four years. It's useful to note that a plan with such potential from a man with such a pedigree deserves a proper name. Garneau could even give his unmanned Mars rover and space industry stimulus plan a name designed specifically to embarrass the sitting government. He could call it a "long term space plan." Don't get me wrong, rovers are not easy to do right and the more flexible you want your rover to be, the harder it all becomes, but I have to agree that a more comprehensive Canadian space goal would be both achievable and would provide a broader range of capabilities for Canada and Canadian industry. Unfortunately, Canada (or rather the CSA) is firmly stuck in the "follow me" role and seems to have no intention of doing anything on their own, even if the budget is not increased. We have been in limbo for at least 5 years and, with the US program adrift the CSA seems deathly afraid of actually producing a Canadian program. Given the immense pit that the US economy is in at the moment, the chances of the current NASA budget being maintained is pretty slim and, faced with truely radical change, NASA is simply not doing anything useful at the moment. Congress, NASA and the US Executive branch are going "mano a mano" over budget, designs, missions and visions without any actual progress on any of them. If CSA continues to dither (and they show no signs of doing much else) then Canadian expertise will fade away and, instead of creating truly world class capabilities and products, our people will drift into other industries and the chance to excel will once again be lost to bureaucratic ennui. None of this is helped, of course, by a federal government that actually doesn't have any sort of vision for either the CSA or Canada in space. CSA seems to be simply a mechanism for spreading no less than, but no more than, the CSA's budget to various Canadian industries as demanded by the politics of the moment. What it all adds up to is not important as long as there is something cool and shiny for the politicians to come & play with near election time. Editors Note: I'm still having trouble posting comments but if there is something you'd like to comment on, I'm posting comments manually so don't be shy. Send your questions, queries, concerns and comments to mr.chuck.black@gmail.com. A Nautilus-X for the Next "HMCS Bonaventure"